Constantly being around rambunctious and energetic children remind us that no matter how healthy people are, they can still get hurt or develop an illness. At any time as a mom, we can find ourselves injured and limited from activity and required to stay home, too. Or we might find ourselves too busy or without childcare to make it to the gym. Therefore, having a convenient, safe, and effective way to exercise in your home can be greatly beneficial for you and those around you, no matter your age, physical condition, or fitness level. And exercising on cutting-edge gym equipment from home is even better! Article Repost and Photos from Jacksonville Moms Blog. If you’re recovering from an injury or have a disability, it’s even more imperative you have a safe way to undergo physical therapy and work out to regain physical and mental strength. However, it can be challenging or inconvenient to hit the gym or exercise standing upright. Fortunately, Ultimate Workout and Recovery (UWAR) created a solution. 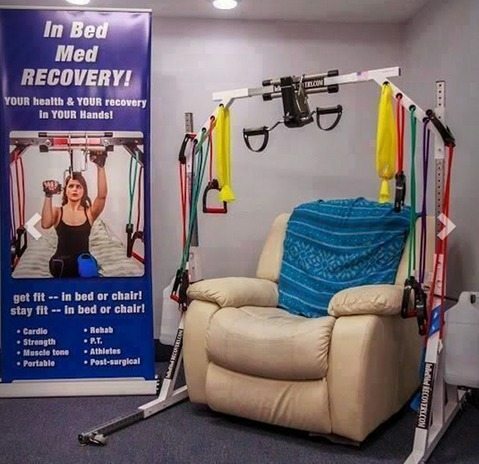 Their Deluxe Rehab and Exercise System of Convenience Gym is a product you can use while standing or sitting in your recliner or wheelchair and also can be used while lying in bed. Click Here to view the original article document. 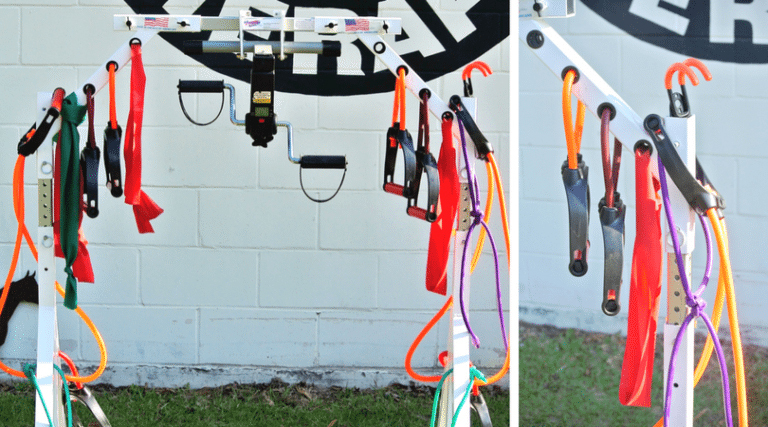 The system was designed to create something exciting and convenient for all workout and therapy needs, expediting recovery for your physical and mental strength. I was intrigued and fascinated while researching the machine, particularly because it can be used from home by kids, adults, and seniors! 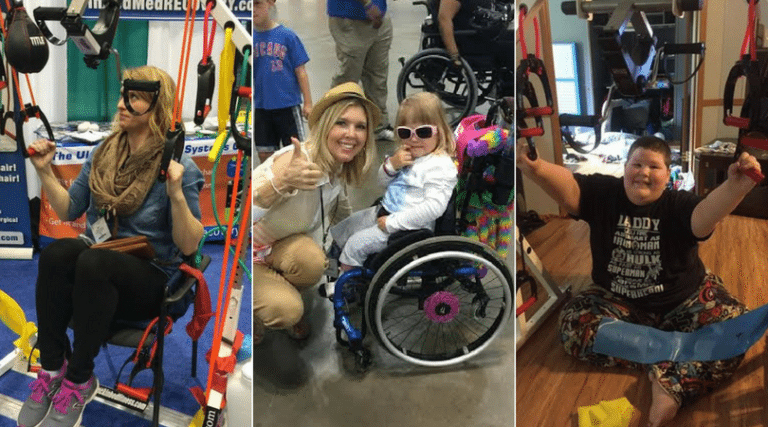 The aim for the Ultimate Workout and Recovery system is to provide a way for anyone of all ages and medical conditions to remain active, particularly if they’re confined to a wheelchair or immobilized due to a disability or an injury. I was enthusiastic to have the opportunity to get a closer look at the Deluxe Rehab and Exercise System of Convenience Gym by visiting the equipment that’s currently located at Hope Therapy, a provider of hippotherapy to children and adults with disabilities that is led by Marianne and Rebecca (Becky) Davenport. After seeing the product in action and learning how patients at Hope Therapy benefit from it, I was even more impressed by the array of exercises and benefits this one-stop gym provides and also impressed by Hope Therapy and their work! At the time I visited, the machine had six different types of bands, but more bands can be added. The bands are available in latex and latex-free material for patients who may have a latex allergy. Rebecca, an occupational therapist at Hope Therapy, demonstrated how she uses the machine with her patients combined with hippotherapy. They received the Deluxe Rehab and Exercise System of Convenience Gym on their property in November 2016. 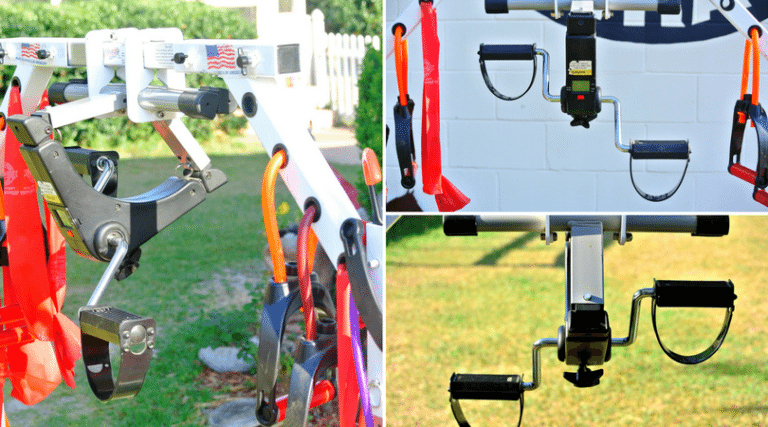 The machine helps with building strength for any fitness level and is a good way to do cardio exercisees. Rebecca explained that she utilizes the machine with a mechanical horse or while the patient is seated. The patient can use it as a warm up before or after riding a horse, depending on the patient’s program. The bands are able to stretch in various ways, offering multiple resistance levels. You can also adjust the resistance in the top part of the machine where the patient rotates the pedals with his arms. The height of the machine is easily adjustable on the sides to fit properly with each individual’s height while sitting. The machine is also effective in improving balance in patients. 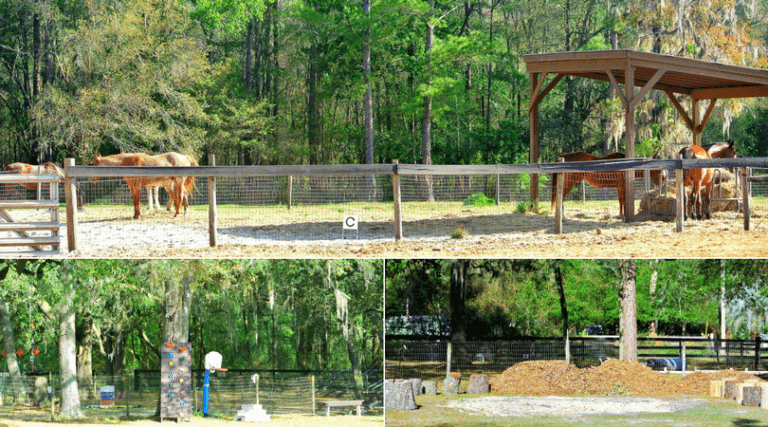 Traditional therapy combined with riding horses helps improve the patient’s balance and muscle coordination, so the combination of hippotherapy and the machine works well together to reinforce these abilities. Rebecca plays music for her patients while they’re working out on the machine, creating a fun activity instead of the patients seeing it as work. It’s not just children with disabilities who are patients at Hope Therapy. They also have a veteran program that is growing for those with physical, emotional, or PTSD-related needs. 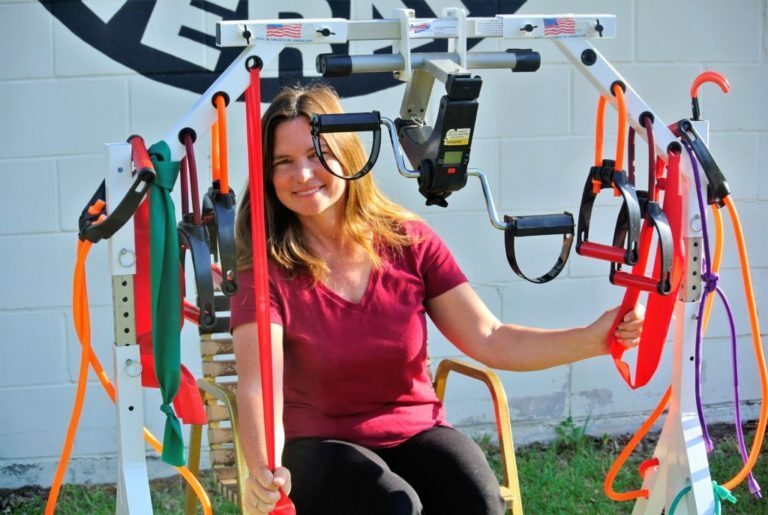 The Complete Exercise and Rehab Convenience Gym are a group UWAR desires to help, so it’s great that local veterans can benefit from this product on location at Hope Therapy. Rebecca and her mother, Marianne, a pediatric nurse practitioner, both have extensive experience with horses. They also share the same desire of helping others, which led them to the start of a hippotherapy program on their 12-acre farm in 2001. 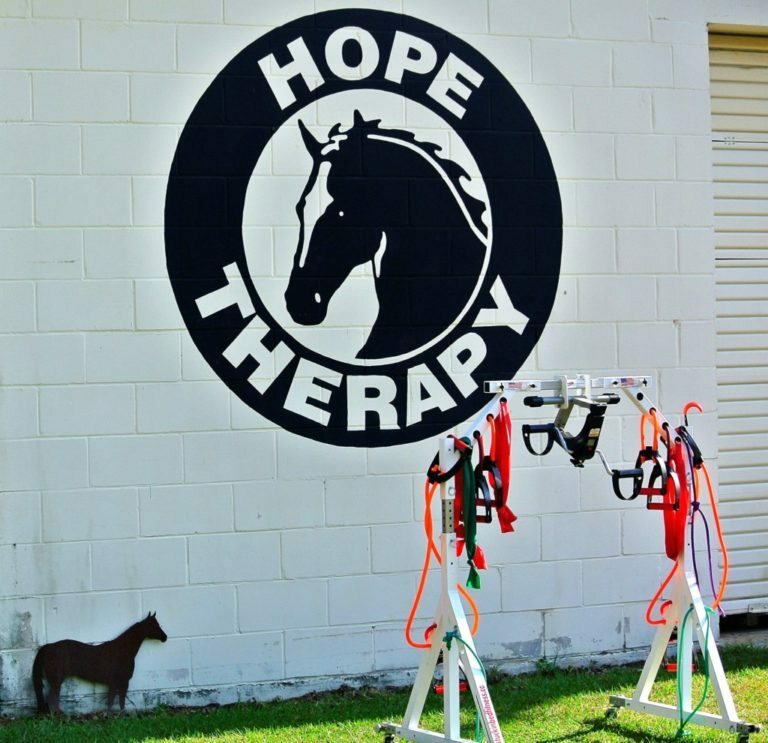 Many of the patients at Hope Therapy have cerebral palsy, down syndrome, or autism, which is why sensor motor capabilities can be improved by interacting with the horses. Hope Therapy is the only Premier Accredited Center in Northeast Florida. If you’re interested in volunteering, donating, or learning more about the program, visit their website or check them out on Facebook. Additional attractive features that caught my attention that I believe other moms will appreciate about this convenient product is the easy setup and minimum space it uses. Plus, it’s safer than most gym equipment, a priority if you’re going to have fitness equipment around kids or elderly people. Also, when it comes to illnesses or limited mobility, it can cause depression and a lack of motivation to work out. Since this product is easily accessible from the privacy of a home or clinic, it’s more fun and inspiring to use, encouraging all ages and people of varying health conditions to be enthusiastic about exercising. In Bed and Chair Recovery FoundationUWAR’s dedication to helping others paved the way for them to create the In Bed and Chair Recovery Foundation (IBCR) to provide Stuck In Bed (SIBF) individuals and organizations who are at risk, have low income, and who serve wounded warriors, veterans, wheelchair users, rehab patients, bariatric patients, cancer patients, and more. To find out how you can assist them in their mission to help others through a strategic partnership, read more details about the IBCR Foundation. UWAR is also seeking moms as sales representatives to help bring awareness about this product to fellow moms. Contact info@workoutandrecovery.com for more information. I’ve come to realize as I get older that maintaining my health is a priority. Preventative measures are key. I’ve also realized that by watching my kids participate in athletic activities, that it takes time and money to resolve medical conditions. Health problems often lead to financial strain. 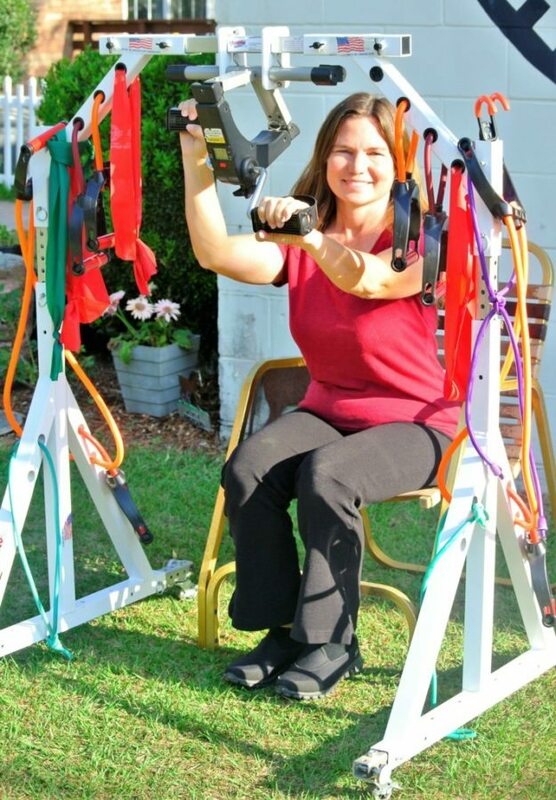 An all-in-one home gym can relieve that with the value of return of the investment it offers, especially compared to a gym membership or buying separate exercise equipment. And if you really want to receive your money’s worth from this product, you can get creative and even use it as a clothes rack or luggage carrier since it has wheels! We all know someone who plays sports, has suffered an injury, was placed on bed rest, or is battling cancer or depression. In what ways could this product benefit you or someone you know?